• Significant cost savings and improved efficiency with an energy plan to achieve targets. • Proactive identification of potential risks surrounding your future energy supply. • Reduction in CO2 emissions by prioritizing use of renewable energies. • Improve overall performance to cut energy consumption & bills by projecting potential savings opportunities. • Better understanding between Predictable Energy Demand and Supply by reducing energy costs and improves profitability. 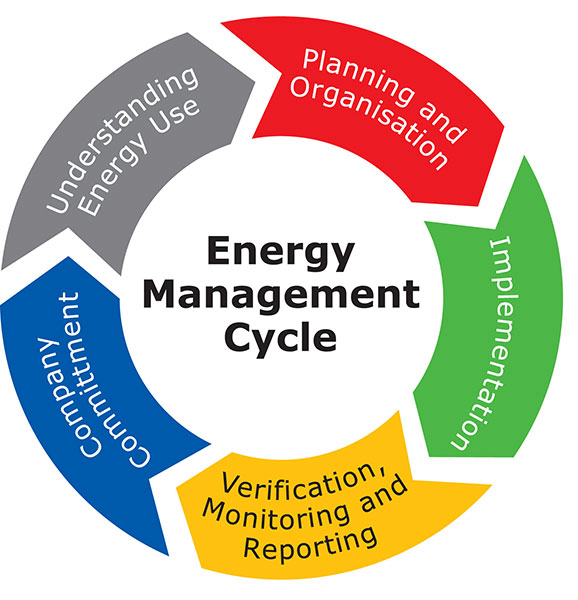 • Efficiently & effectively manage energy risks concerning possible impacts. • Strengthen the competitiveness and reduces vulnerability in terms of energy price fluctuation, availability of energy gaining credible external visibility of energy saving actions etc. • Simplify conformity with environmental mandates across national borders as ISO 50001 is Internationally recognized. Who can implement EnMS and seek International Certification? • Organization regardless of size, activities, products & services, sectors (public/private) and geographical location. • Discover with us how to implement an ISO 50001 energy management system in a way that suits the best for your organization. • We offer continual guidance for your organization to jump-start your energy management – cutting the cost of services your organization do not need by getting you where you want to be, whatever your starting point. • Whether you are new to ISO 50001 or looking to take your expertise, further we at TechnoSysCon shall provide our expertise, to help you save energy, cut costs and meet the requirements. • Our aim shall be to make sure that your EnMS continually improves to deliver the best for your business. • We have perfect training courses and services.